We’re excited to launch Colour Blind, the latest short film produced by our Young Writers’ City programme. 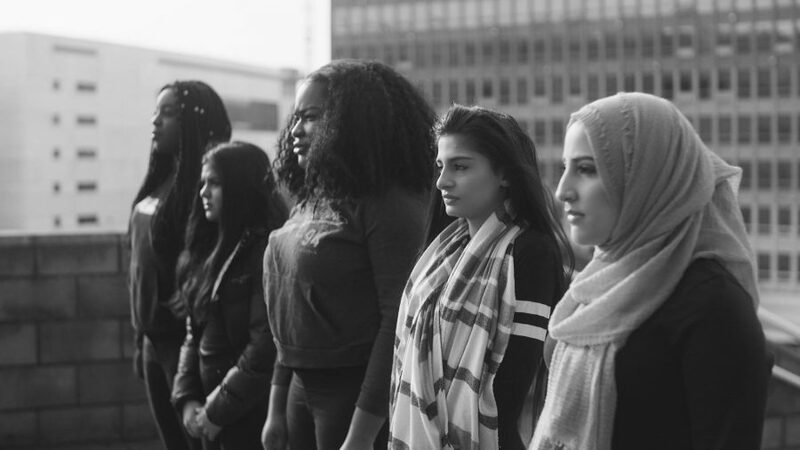 Written and performed by 16-year olds from the West End of Newcastle, Colour Blind tackles the girls’ own experiences of racism and the importance of acknowledging the daily experiences faced by people of colour. The students at Excelsior Academy worked with writer and producer Emily Wiseman and teacher Diarmuid Mullin to write the piece inspired by their own lives. The piece was originally performed at the Young Writers’ City Celebration at Sage Gateshead in 2017 and was so well-received that the young women have since been asked to perform at multiple events around the North East. 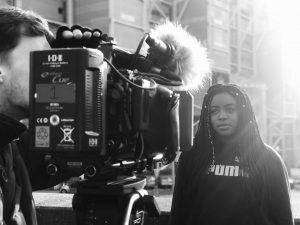 Now funding from the Virgin Money #iwill Take Action Fund has allowed them to film the performance on location in Newcastle, allowing the message to reach wider audiences. Young Writers’ City is an established New Writing North programme run in partnership with secondary schools, that introduces young people to creative writing and supports those who find a talent or interest to continue to develop over the long term. The programme is funded by Newcastle Culture Investment Fund and Arts Council England and is has been embedded in Excelsior Academy since 2015.